In this pathbreaking anthology, Marie Harris and Kathleen Aguero have brought together poems representing a diversity of American voices and identities–among them Native, Asian, and black Americans; Chicano and Puerto Rican writers; gay and lesbian poets; writers of working-class background; and poets writing from American prisons. “It is not in our common interest,” write the editors, “to pretend that a single voice speaks for all our citizens or that the language we use is static.” The language and culture of the United States is alive with the influences of many immigrant and native populations, yet critical and scholarly attention has been overwhelmingly focused on only one American literary tradition: that of white, male bourgeois culture. 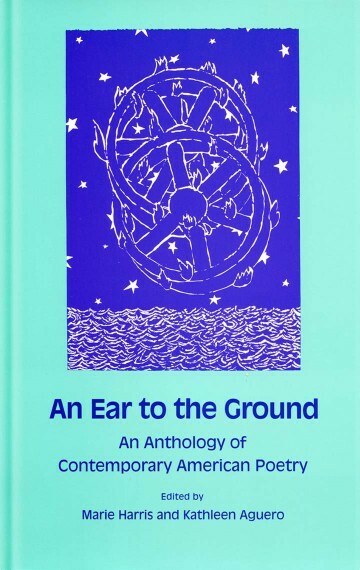 Correcting this myopia, An Ear to the Ground and its companion volume of critical essays, A Gift of Tongues, together form a beginning attempt to create a literature of inclusion, to draw a new map of American poetry that will encompass all the nation’s many histories and voices. Exemplary…A stirring multicultural anthology of contemporary American poetry that includes many women, workers, poor people, gays, blacks, Hispanics, and native Americans among the wide range of outsider voices not commonly heard from in mainstream collections….If you can only purchase one poetry anthology this year, make it this one. This anthology is one of the most important of the decade. …Sorrowful, subversive, this is a compelling anthology.